During the winter, be prepared to protect your plants from cold temperatures. Before we dive into protecting your landscape from the dropping temperatures and chilling wind, allow me to introduce myself. I grew up in Edinburg and received my undergraduate degree from Texas State University in San Marcos. After returning home, I enrolled in the Master Gardener Training program where I met Barbara Storz and discovered my career goal of becoming a Hidalgo County horticulture agent. From 2008 to 2015, I worked with Texas A&M AgriLife Extension Service as a field technician working on a variety of chemical trials, as well as on-farm food Safety. During that time, I also received my Masters Degree in Plant and Soil Science from Texas A&M-Kingsville. In April 2015, I assumed the position of Horticulture Agent for Hidalgo County. I have many people to thank for helping me along the way, but today I want to thank Barbara Storz for not only giving me the opportunity to write “Garden View” columns, but for being a great colleague, mentor and friend. Now, let’s learn about protecting our plants. Our mostly sub-tropical climate and rare freezing weather often leave us unprepared and with little time to protect our plants. If you are a native plant lover you won’t have much to do, cold weather resistance is another reason to utilize native plants in the landscape. While we don’t get freezing temperatures often, native plants are adapted to tolerate these drops in temperature. However, as we live in a sub-tropical region that allows us to grow a variety of both sub-tropical and tropi-cal plants, most of us have a non-native or two in our yards. If you find yourself in the latter group, here are some tips for protecting your plants when the temperatures drop below 32 degrees. Water can be a tool to protect plants from cold weather if applied properly. 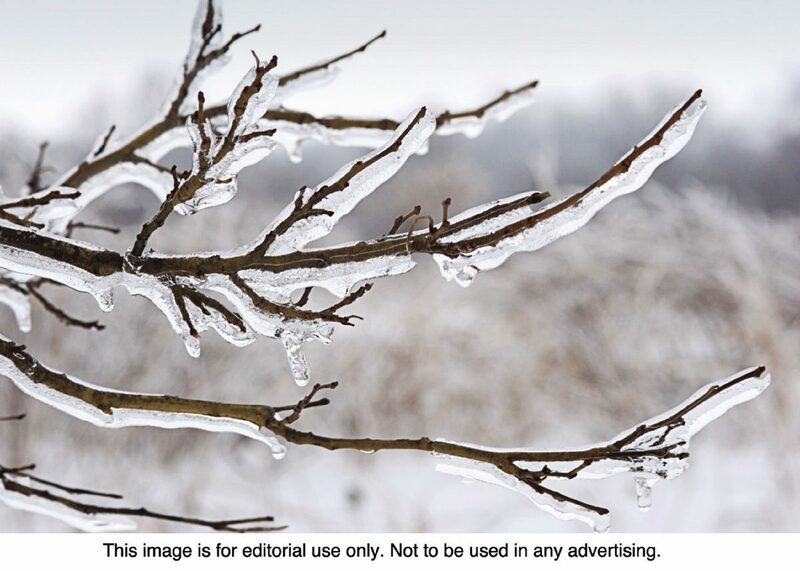 Water can actually help maintain soil temperatures, however, excess moisture on the leaves and stems can cause further damage as the water begins to freeze. Water the soil but don’t water the plant leaves and stems. Additionally, the water needs to be applied while temperatures are above 45 degrees and remember to turn off your irrigation system if freezing temps are expected. Hopefully you thought about the possibility of freezing temperatures and planted on the south side of your home or behind a wind break protecting them from northern winds. If not, covering them with a sheet or old blanket can temporarily help retain soil heat in freezing temperatures around 32 degrees; cardboard boxes and large plastic trash cans work too. Keep in mind that the cover is helping trap the heat rising from the soil, so if you wrap your plant it won’t provide the same protection. You need to drape the cover over the plant so it touches the ground on all sides and secure with something heavy. Remember to uncover the plants once temperatures rise above freezing or the sun shines. For mildly cold sensitive plants, a 4-inch layer of a woody mulch may provide sufficient protection. Potted plants can be moved indoors or grouped together against a structure and covered with an old sheet. Once temperatures return to normal, you will be tempted to go out and prune back the damaged plants. Restrain yourself for a couple of reasons. First, the plants just went through a shock and pruning will only further shock the plant. Second, we may have more cold weather and those damaged leaves may provide some additional protection. Give the plants time to recover before you prune, perennials might look dead, but the root systems may be alive and well below the surface. For shrubs and small trees, it may take months before you can tell what the real damage is. Wait until you see new growth and are past the possibility of more freezing temperatures before pruning. Ashley Gregory is the horticulturist for Hidalgo County with Texas A&M AgriLife Extension Service. She can be reached at (956) 383-1026 or by email at ahgreg-ory@ag.tamu.edu.